The second Sharing Saturday of the year has arrived and I am excited to share with you some of my writings. I recently wrote a ten-page essay on Jack the Ripper, a serial killer whose identity has never been discovered. This chapter of history has fascinated me since I read Stalking Jack the Ripper by Kerri Maniscalco and I have researched and written a lot about it. So, today I will be sharing with you but a short paragraph about this famous killer. Enjoy! The Ripper’s crimes took place in London during the nineteenth century when technological advancement and new ideas began to flourish. However, this also brought about a boom in migration and London became an overcrowded, dirty, and desperate place as poor immigrants fought for any way to support their families. Chaos ensued, crimes spread like wildfire; robbery, theft, violence, vandalism and even murder were commonplace as people struggled to feed themselves and their families. Soon London became a haven for criminals and one of the worst parts of London was the East End. From the depths of this place arose one of the most well-known serial killers ever: Jack the Ripper. Saturday is upon us. Today I have some wonderful news! Escaping from Houdini by Kerri Maniscalco comes out in three days! Three days! It seems like only yesterday that it was two months. I can’t wait for its release so that we can enter yet another bloody mystery. I was recently nominated for the Sunshine Blogger Award and I am so excited to do it. A big thank you to The long distance relationship for nominating me. Let’s get started. Which is your favorite childhood story book and why? That’s a hard question since I had a lot of story books that I loved. But if I had to choose I would have to say Puff the Magic Dragon. Had any paranormal experience? Please share. No, unless you count my cats as ghostly devilish beings. What is the one thing that you certainly want/wanted at your wedding? Ummm….no idea. So, lets just move on. What’s your thinking about a perfect couple? I don’t know. It changes depending upon what couple I am reading about. What is your plan for old age? 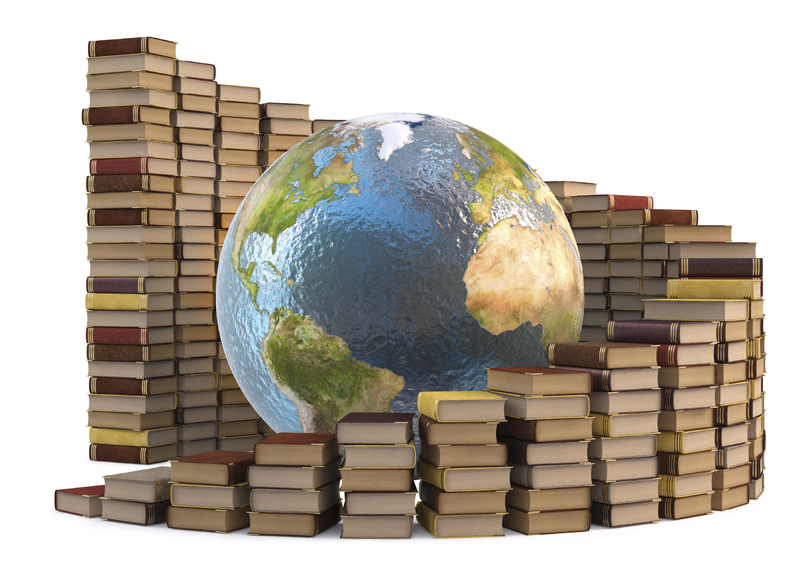 To travel the world and read way too many books. If you could go back in time which place or whom would you love to visit? This one is hard. I think I would go back in time to London during the 1700s or 1800s but then again I have always wanted to meet Robert E. Lee and Abraham Lincoln. Or I could visit the Dark ages or the Renaissance. I don’t know. I want to visit and see it all. Which book or movie would you like to be the hero/heroine of? 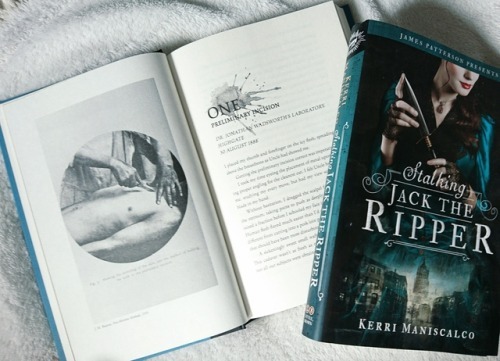 Stalking Jack the Ripper by Kerri Maniscalco!!! What is your favorite thing about being single? Share the funniest moments of your life. The funniest moment I can think of is when my sister told me that I had a mosquito on my face. Without thinking I slapped myself in the face in an attempt to kill the mosquito. I found out mere seconds later that there was no mosquito and that my sister was just joking. It was hilarious. Is it September 18th yet? In September the third book in the Stalking Jack the Ripper series is coming out and I don’t know how much longer I can wait. I just want the book. I need to know what happens to Audrey Rose and Thomas Cresswell. September seems so far away and I want the story to continue so that I can have more material to reread at least several times a month. I have read the first two books so many times that I have parts of the books memorized. 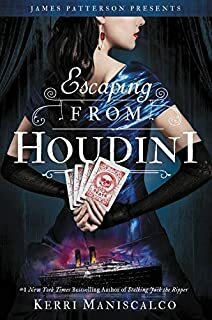 I hope the third book which is called Escaping from Houdini is even more mysterious, bloody, and filled with wonderful interactions between Wadsworth and Cresswell. Below is the synopsis which just makes me want the book all the more. Also, the cover is phenomenal! All of them are. I love the covers for I feel that they portray the books wonderfully. I wrote a whole essay on the cover of the first book, Stalking Jack the Ripper. You can see the introduction on Sharing Saturday Fifteen. In future Sharing Saturday’s I may share more of my essay. The cover is gorgeous and I can’t wait to hold a physical copy of the book in my hands. I am counting down the days until this book comes out. It’s 96 to be exact. I also have a countdown on my website. I will probably pre-order the book or be at the bookstore the moment it opens. It just seems so far away and it’s depressing. I was never good at waiting for books and time drags until the day it finally comes out. Even after Escaping from Houdini comes out I have to wait for the fourth book. However, I look forward to reading the books because they are going to be amazing! The books in this series are worth the wait. I loved the first two and I have faith that the next two books are going to be even better. Author writeyourdestiny11Posted on June 14, 2018 June 13, 2018 Categories Book Quests/ExtrasTags 18th, anxiousness, books, Escaping from Houdini, excitment, I can't wait, Kerri Maniscalco, Personal, September, Third book, WritingLeave a comment on Is it September 18th yet? Twenty-Five weeks! I have been sharing with you for twenty-five weeks which seemed to flash by me in a blur. So, today we will do something different to celebrate. I will share with you three amazing books I got for free and how. I have read some of them and others I have not. I always wanted to own this book after I read it. I loved it and was determined to buy it when I got the money. One day my cousin came up to me and pulled out a Stephen King book she had just bought. I was looking at and next thing I knew she had pulled out Stalking Jack the Ripper and handed it me, ” Saying, here I got you this.” It was not a special occasion but one of those random things somebody does for someone else. It made my day. Recently I started volunteering at book sales hosted by my library. 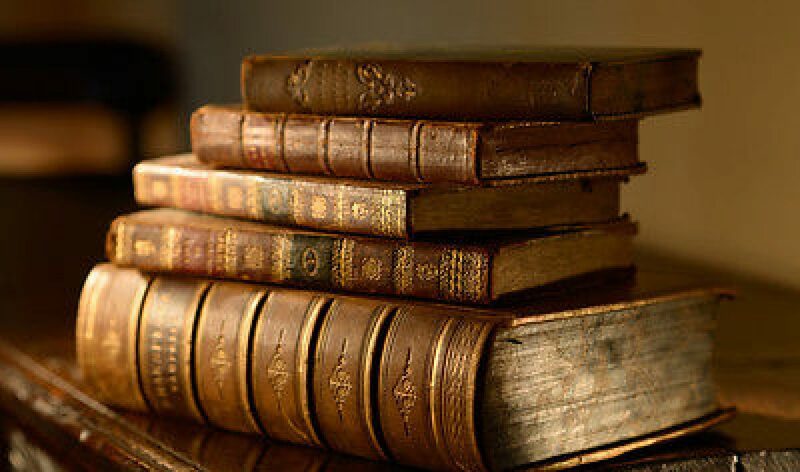 It is a fun experience where you spend a few hours organizing books and helping others buy or find the books they want. At the end all of the volunteers are allowed to pick one free book for volunteering. So, for the last book sale I participated in I picked Poison study. The cover was a little ripped but it I didn’t care for I have wanted to read the book for the longest time and yet I have still not gotten around to it. I am part of a book club through my library that provides us with advanced readers copies of books. If they are older than the past few months we are allowed to keep the books we choose. It is awesome for I have found and kept some phenomenal books through them. 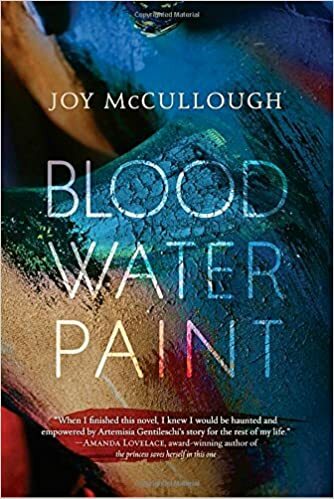 Recently I managed to procure Blood Water Paint which I am so excited to read.